We are excited to announce the launch of The Linda M. Olsen Library, named after former Autism Alliance Governing Council member, Linda Olsen, M. Ed. Linda authored many book reviews over the years for the Alliance and is a long-time educator, teaching elementary school through college level. She became involved in the autism community as part of a research team in 1990 and has been a fierce advocate, compassionate mentor and knowledgeable teaching supervisor ever since. She has truly been an invaluable member of our organization and the autism community; therefore we could not think of a better way to honor her! 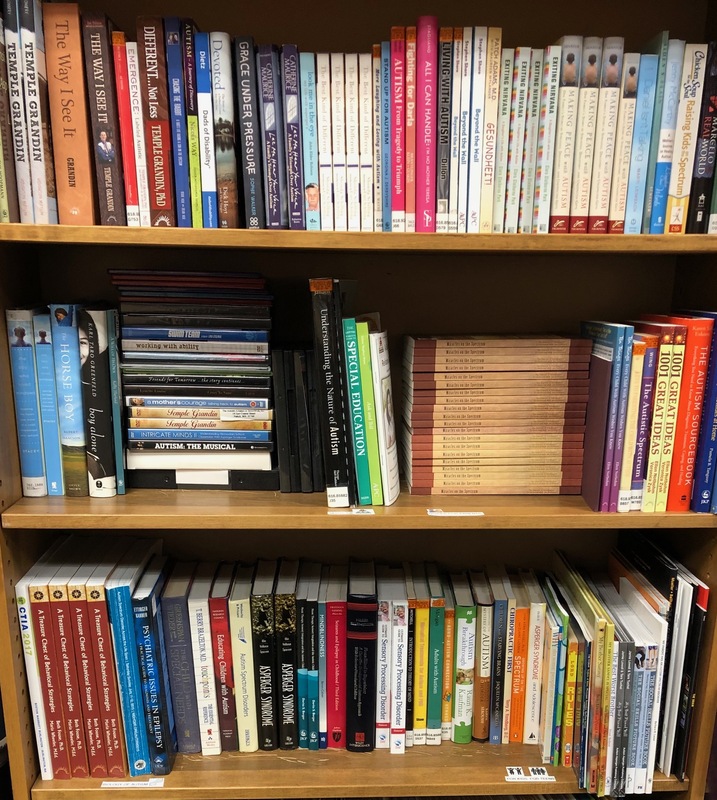 We have curated and digitally cataloged all books and videos into an autism-specific library, allowing for check out, just as you would at your local library. We have more than 250 resources that address all ages and aspects of autism spectrum disorder. There are books for parents, professionals, grandparents, siblings and individuals diagnosed on the spectrum. We encourage you to puruse the digital library and contact us if you are interested in checking out a book. For first time users, we will need to set up an account for you; but once established, you can put books on hold and check them out at your leisure. Our office is typically open Monday through Friday, from 9:00am - 5:00pm; however, we encourage you to call before stopping by. Sometimes we have offsite events or meetings that cause our office to be closed. Thank you Linda Olsen, for all you have done and all you continue to do for our families and community. We could not have put together this robust resource library without your support.